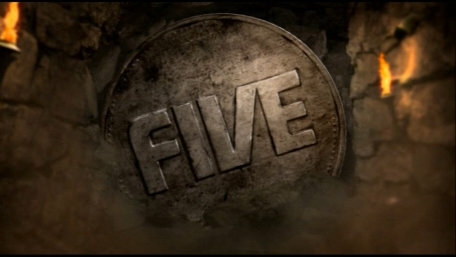 The more "sombre" ident, used mainly before the news. 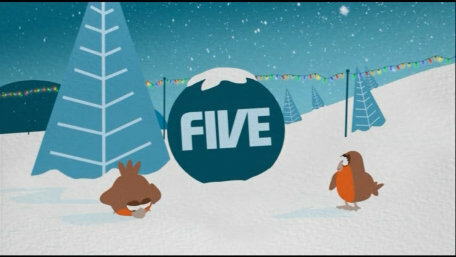 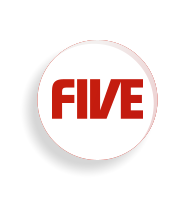 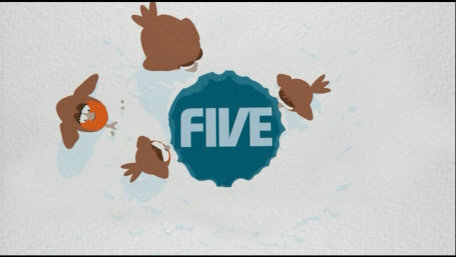 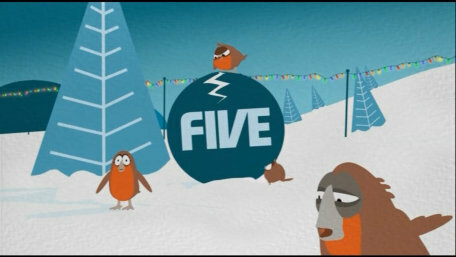 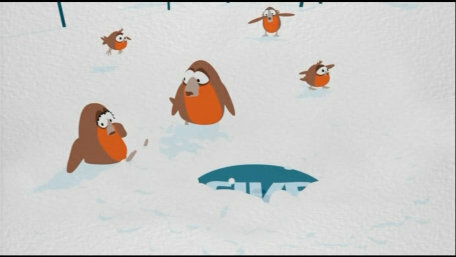 Some Robins in the snow, start to roll a snowball down the hill, only for it to turn out it's actually the Five logo covered in snow. 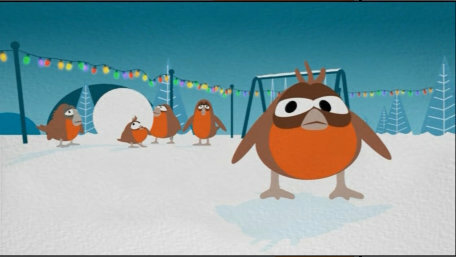 A robin is struggling with a worm, or is it? 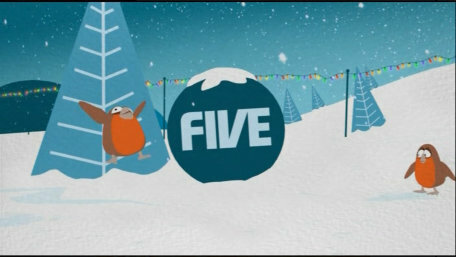 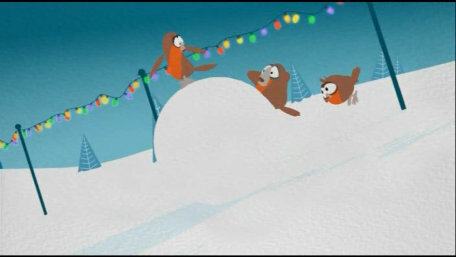 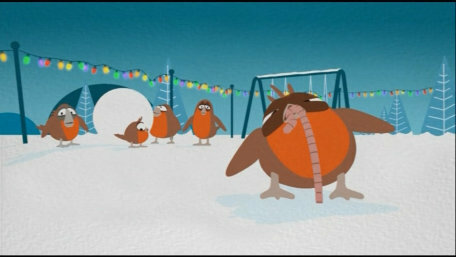 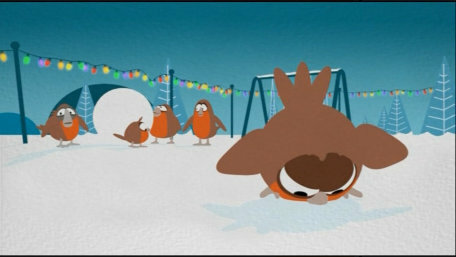 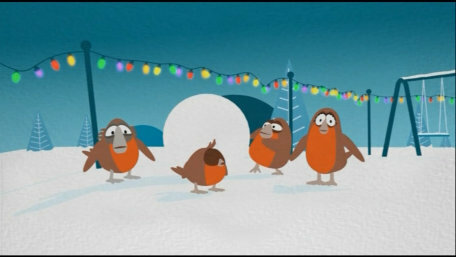 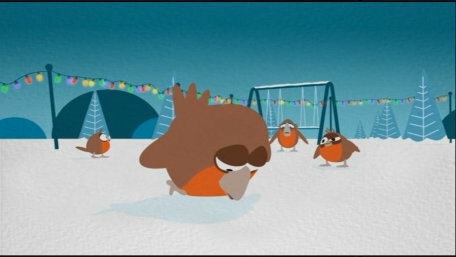 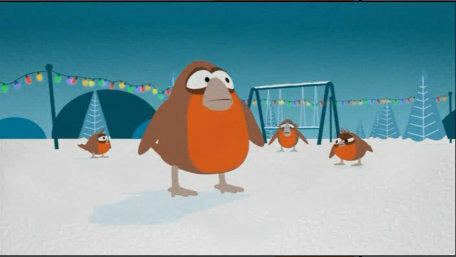 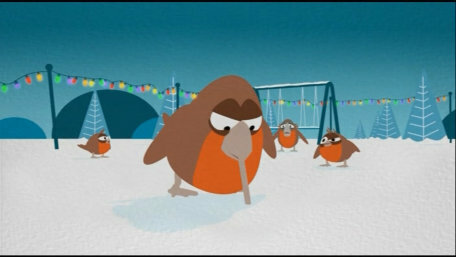 You could argue if this was a Christmas ident or not, but it was shown at the same time as the Christmas ones and does feature a reference to Christmas. 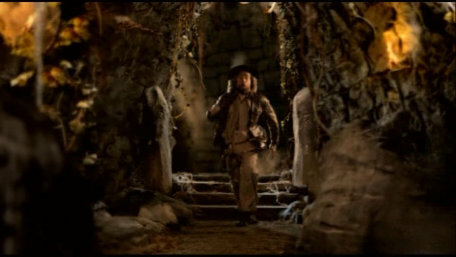 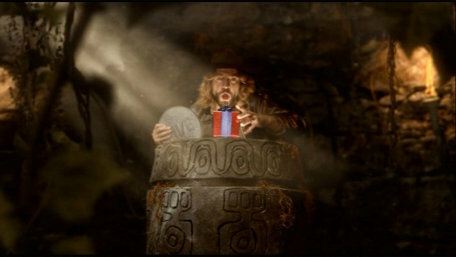 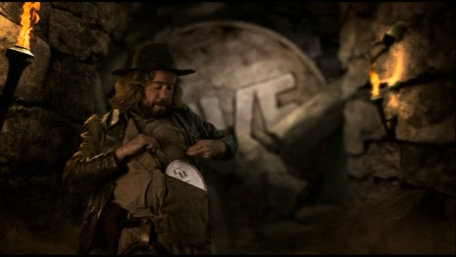 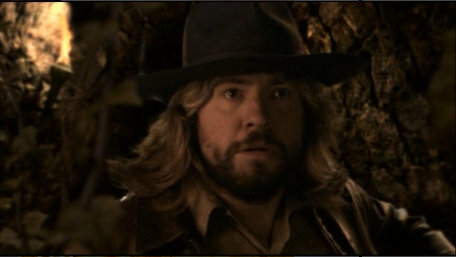 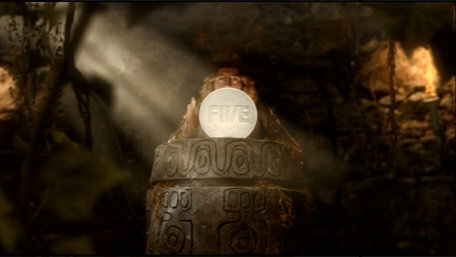 Anyway, Justin Lee Coillins, host of Heads or Tails (which this ident is promoting) stars in this spoof of Indiana Jones.